If you are thinking about building a custom home in Greensboro, NC, find a homebuilder with experience and design styles that match your needs. Each homebuilder in the Triad area has unique talents and a range of experience, and you will benefit from researching to find the best builder for your custom home. 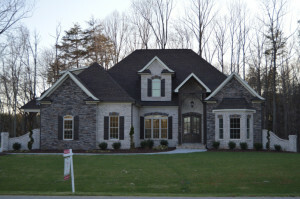 R&K Custom Home Builders builds new homes in Greensboro, NC that have character, style and charm. They are built to last, with exceptional craftsmanship and interior styling. Homeowners refer them to friends and family because of their positive homebuilding experience, variety of upscale design choices and dependable service. Knowing the approximate size, house style and price range is a great starting point as it allows you to narrow in on your builder choices. Whether you are looking for a luxury, 4000+ square foot home, or a smaller, craftsman-style 2500 square foot home, you will be able to select homebuilders based on the range of homes that they provide. Why is it Important to Find a Home Builder in Greensboro with Experience? “Experience counts: Every home building firm (including the most experienced and well-regarded companies today) once built their first home. And many new home building firms were started by experienced veterans of other builders. Don’t overly discount a new firm – especially if their team includes seasoned pros – but do look for strong experience overall and in the type of home you seek. Look for quality work and positive referrals when selecting a homebuilder for a new home in Greensboro, NC. R&K Custom Home Builders has a wealth of experience in homebuilding, dating back to 1992. When you visit their gallery of custom homes, you will get a sense of their premier design features, elegant styles and high quality materials. With excellent communication and strong industry standards, they have the knowledge and experience to bring your dream home to life. Contact R&K Custom Home Builders today at 336-643-3503.